Traveling to Mexico is an exciting adventure. Finding the right place to stay can be hard. We’ve created this list of some of the best hotels in Mexico to help make your task easier. It includes normal hotels, boutique places, luxury and all-inclusive hotels, and resorts. Check them out! 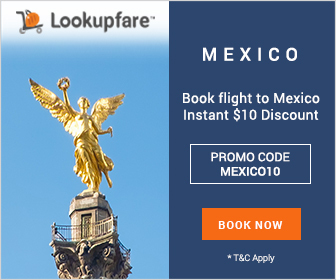 For the best rates on hotels in Mexico, we recommend checking out www.LastMinuteTravel.com and LookUpFare.com. Reservations.com also seems to have some of the best rates. Finally, we recommend checking out why you may need travel insurance to help with any issues you face in booking, refunds, or issues. Le Blanc is a beautiful spa and resort located right in San José del Cabo. One of the best all-inclusive resorts in Mexico, Le Blanc is a true luxury experience. You’ll find amazing food, romantic options and activities, and simply beautiful rooms. 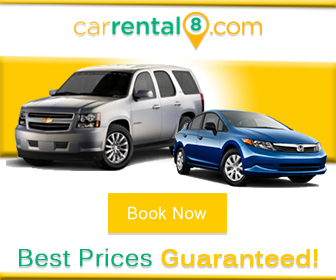 The service is top-notch, and you’ll find it highly rated on travel sites like TripAdvisor. There are many activities you can do right from the hotel, such as romantic dinners, dolphin watching, spa treatments, and more! Moon Palace Cancún is a beautiful all-inclusive luxury hotel. With a play room for kids, a full golf course, tours, and an incredible spa, Moon Palace is a wonderful place to stay for your perfect family vacation. Tours leave directly from the hotel to nearby attractions and activities, there are buses and golf carts to get around their huge grounds, and it acts a bit as its own little town. One thing about Moon Palace is the food. It’s always delicious, and you’re sure to get some of the best meals around. The Le Blanc Span Resort in Cancún is a magnificent hotel and resort. With exactly 5.0 stars on TripAdvisor, it’s essentially perfect. It’s a true luxury experience, with complementary travel from the airport, unlimited golf, and group discounts. They have honeymoon packages, all-inclusive options, tons of tours and excursions, and the mandatory delicious meals. You can have a personal butler, an ocean view suite, and the relaxation of an adults-only resort in Mexico. Isla Mujeres Palace is another adults-only resort, just outside Cancún. Located just a few miles from the mainland, this resort is on the beautiful island of Isla Mujeres. It’s one of our favorite spots for a romantic getaway. They have local cocktails, personal hammocks, and candlelit dinners. If you’re looking for the best hotel in Mexico for you and your special someone, check this place out! The Hyatt Zilara is an all-inclusive hotel and resort right in the heart of Cancún. The swim-up suites, luxury dining, and magnificent spa will surely make you comfortable during your stay. It’s a bit more active than some of the other hotels on this list in the area. If you’re looking for a high-end experience where you won’t be bored, this all-inclusive adult-only resort is the place to be. There are parties, activities, and just tons of things to do for groups and couples. Hyatt Ziva is Hyatt’s all-inclusive resort for families in Cancún. It’s one of the best hotels in Mexico for families, offering a comfortable luxury experience. You’ll find tons of family-friendly activities, tours, excursions, and more. One thing we love about the Hyatt hotels in Cancún is that you can get resort credit when you book in advance, usable toward spa visits, adventures, and fine dining. Cozumel Palace is located just off the coast of Playa del Carmen on the small island community of Cozumel. It’s most well-known as a haven for divers, and you can snorkel right off the Palace’s docks! It’s kid friendly, they have romantic activities for couples, and just an endless supply of things to do. Cozumel is truly beautiful, and one of our favorite places to go in Mexico. The Palace hotel is consistently rated in the top resorts in Cozumel by TripAdvisor visitors, and for good reason! Like the Cozumel Palace, the Playacar Palace offers the all-inclusive experience in the Riviera Maya, located in the Playacar area. You can go snorkeling, diving, or on any number of wonderful activities. This resort is a little busier than its Cozumel counterpart. You will be walking distance to Fifth Avenue in Playa del Carmen, nearby bars and clubs if you want to go party, and just minutes from some of the most relaxing waters you’ll find in Mexico. Panama Jack offers the all-inclusive experience at a reasonable price. Right in Playa del Carmen, you can taste the wonderful food, walk right out to the beach, and swim in a pool overlooking the Caribbean waters. With suites, you get access to the Royal next door, the adults-only part of the hotel. Panama Jack is a beautiful place to stay. You’ll find plenty of chairs and loungers to chill on, activities to keep you busy, and wonderful food from around the world. It’s a smaller hotel, offering an all-inclusive experience without the chaos of the whole resort thing in the area. Desire Riviera Maya is our favorite couples resort in Mexico for many reason. The cuisine is top-tier, they have a clothing-optional beachfront, and provide a seductive and sensual experience. There are theme nights, quality entertainment events, and many opportunities to dig into your fantasies and sexuality. This is definitely the most fun you’ll have in Mexico at a couples-only resort! You can go diving, snorkeling, and on excursions, and really create the vacation and level of intensity you want! Pueblito Luxury Condohotel is a much smaller place than many of the other resorts and larger hotels on this list. It offers luxurious accommodations, full kitchens, and more of a condo-style vacation. It’s super close to town so you can walk and explore the area. They have a beautiful pool, an awesome terrace bar, and the option to receive spa services right in your suite. If you’re looking for a high-quality vacation without the chaos of a big resort, Pueblito is for you!